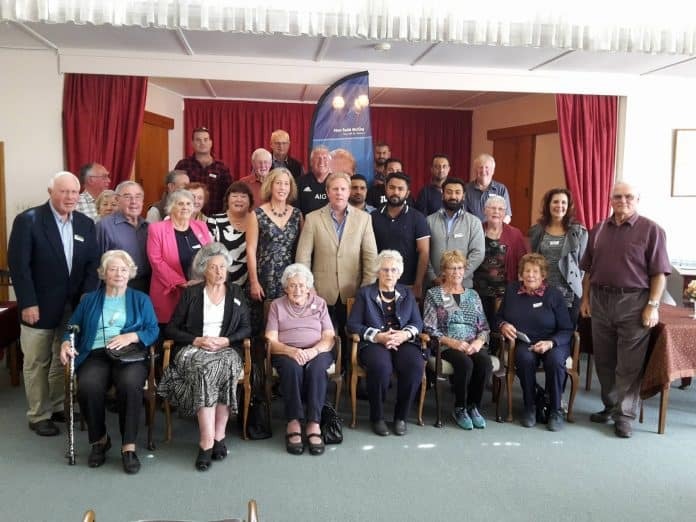 We received an invitation from Jenny Wotten to attend a get-together with supporters of the National party just before Christmas (to those who had contributed) along with Todd McClay MP and his lovely wife. We had loaned sound gear to the National party prior to the elections when the prime minister visited Te Puke in the lead up to the elections. Although we are not a political charity, we do support anyone and everyone in our community, including political parties in need of technical gear. One of the questions raised after Todd’s address, was, “How do you think we could get more young people along as National members as well as interested in politics”. I was pleased to hear such a question raised. Earlier in the year we had held a pizza and politics gathering with Todd McClay, with some community members and some of our youth. It was a low-key event with questions, conversations and delicious pizza. Isaac Gunson, a TPHS student, was VGCT’s main interviewer. The pizza and politics event, although small, confirmed this would continue to be one of our initiatives. Vector Group Charitable Trust is resolute toward introducing youth to areas of society they may not have any exposure to previously, and to introduce and give opportunity to the arena of politics however that looks. We aim to engage with all political parties with invitations awaiting to be realized ;-), but for now we want to thank Todd McClay for making the effort to meet with our youth in Te Puke. We look forward to a healthy future of discussion, polemics, policy and a developing interest in politics shown by both our youth and community. Thankyou Jenny, Todd and fellow members of our community for the good you have done. May Te Puke become recognized as a unique leader in positive, compassionate change, both with interconnection and with a sense of place.